Link to original Microsoft article Securing Privileged Access. Portion of it is printed below. Securing privileged access is a critical first step to establishing security assurances for business assets in a modern organization. The security of most or all business assets in an organization depends on the integrity of the privileged accounts that administer and manage IT systems. Cyber-attackers are targeting these accounts and other elements of privileged access to rapidly gain access to targeted data and systems using credential theft attacks like Pass-the-Hash and Pass-the-Ticket. Securing privileged access requires a broad range of elements including technical components (host defenses, account protections, identity management, etc.) as well as changes to process, and administrative practices and knowledge. Why is Securing Privileged Access important? In most organizations, the security of most or all business assets depends on the integrity of the privileged accounts that administer and manage IT systems. Cyber-attackers are focusing on privileged access to systems like Active Directory to rapidly gain access to all of an organizations targeted data. For more information on the types of attacks that commonly lead to attackers in control of administrative accounts, please visit the Pass The Hash web site for informative white papers, videos and more. This figure depicts the separate “channel” for administration that the roadmap establishes to isolate privileged access tasks from high risk standard user tasks like web browsing and accessing email. The roadmap is designed to maximize the use of technologies that you already have deployed, take advantage of key current and upcoming security technologies, and integrate any 3rd party security tools you may already have deployed. Each stage of the roadmap is designed to raise the cost and difficulty for adversaries to attack privileged access for your on-premises and cloud assets. The roadmap is prioritized to schedule the most effective and the quickest implementations first based on our experiences with these attacks and solution implementation. The timelines for the roadmap are approximate and are based on our experience with customer implementations. The duration will vary in your organization depending on the complexity of your environment and your change management processes. To help separate internet risks (phishing attacks, web browsing) from administrative privileges, create a dedicated account for all personnel with administrative privileges. Additional guidance on this is included in the PAW instructions published here. To help separate internet risks (phishing attacks, web browsing) from domain administrative privileges, create dedicated privileged access workstations (PAWs) for personnel with AD administrative privileges. This is the first step of a PAW program and is Phase 1 of the guidance published here. To mitigate the risk of an adversary stealing a local administrator account password hash from the local SAM database and abusing it to attack other computers, you should use the LAPS tool to configure unique random passwords on each workstation and server and register those passwords in Active Directory. You can obtain the Local Administrator Password Solution for use on workstations and servers here. Additional guidance for operating an environment with LAPS and PAWs can be found here. To separate internet risks from all privileged administrative accounts, continue with the PAW you started in stage 1 and implement dedicated workstations for all personnel with privileged access. This maps to Phase 2 and 3 of the guidance published here. For Active Directory Domain Services (AD DS), use Microsoft Identity Manager (MIM)’s Privileged Access Manager (PAM)capability. To increase the assurance level of administrator authentication, you should require multi-factor authentication before granting privileges. This can be accomplished with MIM PAM and Azure AD PIM using Azure Multi-factor authentication (MFA). To reduce the quantity of accounts with domain administration privileges and associated risk exposure, use the Just Enough Administration (JEA) feature in PowerShell to perform common maintenance operations on domain controllers. The JEA technology allows specific users to perform specific administrative tasks on servers (like Domain Controllers) without giving them administrator rights. Download this guidance from TechNet. To reduce opportunities for adversaries to take control of a forest, you should reduce the pathways an attacker can take to gain control of Domain Controllers or objects in control of the domain. Follow guidance to reduce this risk published here. To get visibility into active credential theft and identity attacks so that you can respond quickly to events and contain damage, deploy and configure Microsoft Advanced Threat Analytics (ATA). Prior to installing ATA, you should ensure you have a process in place to handle a major security incident that ATA may detect. For more information on setting up an incident response process, see Responding to IT Security Incidents and the “Respond to suspicious activity” and “Recover from a breach” sections of Mitigating Pass-the-Hash and Other Credential Theft, version 2. For more information on engaging Microsoft services to assist with preparing your IR process for ATA generated events and deploying ATA, contact your Microsoft representative by accessing this page. Access this page for more information on engaging Microsoft services to assist with investigating and recovering from an incident. To Implement ATA, follow the deployment guide available here. These capabilities will build on the mitigations from previous phases and move your defenses into a more proactive posture. To reduce security risk, you should redesign all aspects of your roles and delegation model to be compliant with the rules of the tier model, accommodate cloud service administrative roles, and incorporate administrator usability as a key tenet. This model should leverage the JIT and JEA capabilities deployed in the earlier stages as well as task automation technology to achieve these goals. 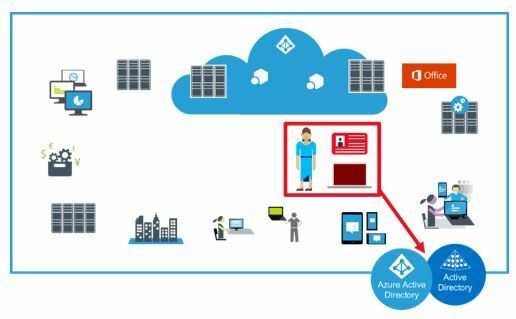 To increase the assurance level and usability of administrator authentication, you should require strong authentication for all administrative accounts hosted in Azure Active Directory and in your Windows Server Active Directory (including accounts federated to a cloud service). To provide the strongest protection for Active Directory administrators, set up an environment that has no security dependencies on your production Active Directory and is isolated from attacks from all but the most trusted systems in your production environment. For more information on the ESAE architecture visit this page. To limit the risk of unauthorized programs on your domain controllers from adversary attack operations and inadvertent administrative errors, configure Windows Defender Device Guard virtualization-based security for kernel (also known as Hypervisor Code Integrity, HVCI) and Windows Defender Application Control policies (also known as Configurable Code Integrity, Configurable CI) for applications to only allow authorized executables to run on the machine. For more information on Windows Defender Device Guard visit this page. 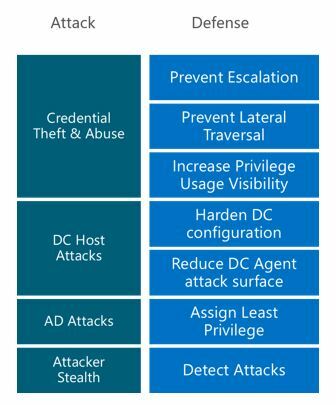 To protect virtualized domain controllers from attack vectors that exploit a virtual machine’s inherent loss of physical security, use this new Server 2016 Hyper-V capability to help prevent the theft of Active Directory secrets from Virtual DCs. Using this solution, you can encrypt Generation 2 VMs to protect the VM data against inspection, theft, and tampering by storage and network administrators as well as harden the access to the VM against Hyper-V host administrators attacks. For more information on Shielded VMs visit this page.